Family-friendly exploration or daredevil sports take place in the Snake River Canyon located in the middle of Southern Idaho. Serene, soothing hot springs or raging rapids are just outside your front door. Charming small cities and wide open spaces encapsulate the Magic Valley which offers a low cost of living and easy access to shopping, healthcare, and education. Contact TJ Bowles to set up an appointment or to receive a quote to build a Simplicity Home. 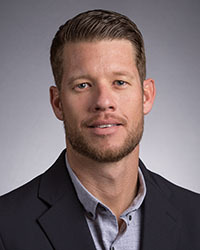 TJ began his career in consultative sales and customer service immediately after graduating college in 2007 with a degree in business accounting. He then broke into the construction industry in 2012 as a Business Development Associate for a Design-Build firm specializing in large projects for hospitals and private universities and most recently has specialized in hardwood lumber and plywood products. TJ currently lives in the Southern Idaho area with his wife and 2 boys. He has a passion for the outdoors, sports and building furniture. He came to Simplicity in 2016, and with his extensive background in customer care, he has a strong desire to serve the Treasure Valley. Looking to build a Simplicity Home in the Idaho Treasure Valley or in Eastern Oregon? Email TJ HERE, or call 208.697.0928.